Why Is Jewish Conversion So Difficult? This is a question one hears a lot! Why is it so difficult to convert into Judaism? There's no question that conversion to Judaism requires a lot of patience, study, and determination. Conversion through the non-Orthodox movements requires study, some monetary output, and time (usually about a year). Conversion through Orthodoxy requires much more study, usually more money, relocating to an Orthodox community, embracing a new culture, and more time (commonly one and half to five years depending on the beit din or religious court one goes through, and ones previous experience with Judaism). Plus many rabbis will refuse to help you three or four times before even agreeing to discuss the possibility of conversion. Many people give up and leave. Of those who persevere to this stage some convert, most do not. 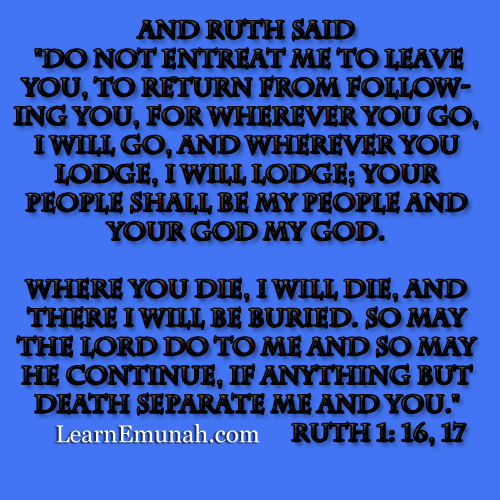 Conversion to Judaism is not so easy! If one wishes to convert into most religions the process is relatively easy. After all, all religions want more converts, right? Some even advertize on highway billboards and sports arenas! To convert as a non-Catholic Christian the standard method is to ask Jesus to forgive ones sins, with sincerity. Water baptism may also be required depending on the specific group, and your in. Catholicism requires some study. To convert (or "revert" as they say) to Islam one merely recites the Shahada with sincerity: "La allah illa Allah wa-Muhammad rasul Allah;" which is an affirmation of ones acceptance that: "There is no god but Allah and Muhammad is his [final and greatest] prophet." This must be done in the presence of witnesses. Hinduism and Buddhism vary but mainly one just begins practicing the religion. Essentially one finds a guru (a 'remover of darkness') and one is accepted (there may be a brief rite performed in some cases). Its essentially the same with most other religions. To join you learn the basics and begin practicing. If one believes what a Christian, a Muslim, etc. believes one is accepted as a Christian, a Muslim etc. A Gentile may believe and live exactly as the ultra Orthodox Haredim but that does not make him/her Jewish. If one performs the pious activities of laying tefillin, placing mezuzot on ones doorways, growing payos (side locks), wearing tzitzit all the time, etc. not only will one not be accepted as Jewish by Jews, but it will be considered that one has violated the sanctity of the Jewish people by performing rites that are restricted to Jews! Please, don't these things as a non-Jew! This is very different than other religions and is sometimes interpreted negatively by those who do not understand. Please don't be offended. There are sound reasons for this difference. First among these perhaps is that Judaism is not looking for converts. At certain points in its history Judaism has been more open to converts than at other times, but it has never been a missionary religion. Judaism holds as an essential tenant that one does not need to be Jewish to be accepted by the One G-d. Whatever religion one practices will suffice to attach one to the Eternal if done with sincerity and positive intention. Not that ones beliefs are irrelevant of course, but G-d looks at the heart. We believe monotheism is preferable and that Torah is the highest divine revelation, but Judaism is our path, your path is yours and we respect that. Christians generally believe that if one does not "accept Jesus" one is doomed to spend eternity in torment. Based on this belief, seeking converts is the only moral and loving thing to do! Who would say, 'Oh look, my neighbor's house is on fire. I know the family is inside sleeping. Perhaps I should awaken them so they don't burn to death, but I'd hate to disturb their sleep.' No! Any moral person who believes his/her neighbor is in danger will feel compelled to warn them, to help them: Get up! Follow my instructions! You are in danger!!! It is the only honorable reaction to have, given their beliefs. For many sincere missionaries this is the motivation. We get that! Our understanding of G-d is not like that however. We worship the G-d of love and justice. He does not torture people in infernal pits. We are all His beloved children. He would no more abandon us to such torture then we would our own children. He gave each of us free will and encourages us all from within our consciousness, as well as through external events, to be the sort of people that will make our lives successful. So this is another reason Judaism is not a missionary style religion. This is one of the areas where our beliefs are not compatible. As a general statement Jews believe that G-d has given humanity two separate Covenants. Those who desire to know G-d and to live good, meaningful and just lives are encouraged to observe the Covenant that already applies to them. For the vast majority of people this is the Sheva Mitzvot B'nei Noach the Covenant of the Seven Noahide Laws. Non-Jews are born into the Noahide Covenant just as Jews are born into the Sinai Covenant. Practice your Covenant and all is well. This is our advise. Non-Jews, with or without specific knowledge of the Noahide Covenant, are required by God to observe the seven basic laws. Most religions and religious philosophies include these same essential civilized requirements in one form or another. The Sinai or Mosaic Covenant exists exclusively with the people of Israel, the Jews. We have been given 613 commandments or requirements to observe (which also include the principles of the Seven). Exodus 19:6 And you shall be to Me a kingdom of priests and a holy nation.' These are the words that you shall speak to the children of Israel." Exodus 19:8 And all the people replied in unison and said, "All that the Lord has spoken we shall do!" and Moses took the words of the people back to the Lord. The Talmud, continuing this idea that converts already have a Jewish soul inside of them, uses a very interesting phrase when discussing Jewish laws of potential converts. It is written, "a convert who comes to convert..." The phrase begs the question - why does it say "a CONVERT who comes to convert..."? Rather, it should say, "a GENTILE who comes to convert..."! The reason is because they already have a Jewish spark inside of them... -- Rabbi Shraga Simmons. What then were the grounds of believing him? The revelation on Sinai which we saw with our own eyes, and heard with our own ears, not having to depend on the testimony of others... (Mishna Torah - Foundations of Torah 8:1). [For an excellent presentation of this point see this article on Aish.com. So those who seek admittance into the Sinai Covenant are taking on a serious responsibility. This responsibility weighs not only on their shoulders, but on the shoulders of all the Jewish people as we are collectively the Servant of HaShem. When one Jew fails to meet this standard all Jews are impacted as is the world at large. ...That which he called you a fool is very perplexing. One who left his father and mother, and his birthplace, and his nation, which is now in power, whose heart and mind led him to cling to a nation that is today detested by the nations of the world, ruled over by slaves, and to recognize and understand that their religion is the true and righteous one; one who understood the ways of Israel, and pursued God, and entered the path of holiness, and entered under the wings of the Divine presence, and sat at the dust of the feet of Moses, the master of all prophets; one who desires God's mitzvot, whose heart inspires him to draw close to bask in the light of life, and to ascend to the level of angels, to rejoice and take pleasure in the rapture of the righteous; one who cast out this mundane world from his heart and did not follow vain and idle things - is a person who reached this lofty stature to be called a fool? God has not designated you a fool, but rather an intelligent and wise and understanding individual, who proceeds on proper paths, the student of Abraham, who likewise left his father and birthplace to follow God. May He Who blessed Abraham, and rewarded him in this world and the next world, bless and reward you properly in this world and the next. May He lengthen your days, so that you will be able to teach God's laws to His congregation, and may you merit to see all the consolations in store for Israel in the future, and may the good that God will do for us also devolve upon you, for God has spoken good concerning Israel. (Source). Such a convert Israel needs! Such a convert is a true blessing! But will the person seeking admission be such a convert? This is difficult to tell and therein lies the rub. Judaism has enough non-Observant people already. Arguably such Jews, simply by their lack of observance (not to mention dis-observance) hinders the blessings HaShem wishes to bestow on the Jews and the world. According to our sages non-observance by Jews is actively hindering the coming of HaMashiach (may HaShem protect us). Some rabbis conclude from this that only those who are willing to 'jump through hoops' and prove that they are serious about being Torah observant should be allowed in. Others have a more open-door policy (these are mainly the non-Orthodox). From Judaica Press version: Numbers 11:4 But the multitude among them began to have strong cravings. Then even the children of Israel once again began to cry, and they said, "Who will feed us meat? The biblical text does not actually say this mixed multitude were converts, however the context and common rabbinic commentaries supports this view. 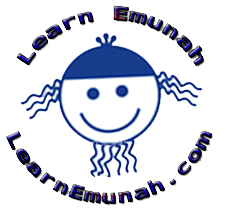 Are you considering conversion to Judaism? If so, you will do well to consider this point carefully. Once converted will you be the sort of Jew who blesses Israel or the sort who drags us down? Will you contribute to bringing joy and gladness into the camp through your Torah observance, or will you be the sort to negatively influence the people and further hinder the coming of HaMashiach? As you become acquainted with the Jewish community, whether it is Haredi, Conservative, Jewish Renewal, Reform ... it matters not, you WILL find ample opportunity to complain, to kvetch, and to point a finger at others who are not what they might be (by your estimation). Understand however that these people, with all of their human failings, remain the Apples of HaShem's eye (Deuteronomy 32:10, Malachi 3:6). Being allowed to enter into such a holy community is a true privilege. You are truly taking your seat on the shoulders of giants who came before. You have been granted the rare privilege of entering into the Covenant into which you were not born. Avoid lashon hara (i.e. disrespecting the Jewish people and others) and complaining! Once your conversion is complete, be the type of Jew Rambam would have honored to the very best of your ability! Often converts are in fact more observant than other Jews due to their realization of what it took them to be included. Be that sort of Jew! You can not change this ancient community nor its modern expression, but you can change yourself. You can be the blessing that inspired you to join this holy nation in the first place.